As well as being a pleasure to cook in, a kitchen should be attractive whatever its size or layout, thanks to exclusive designs and perfect integration into its dedicated space. Design is a culture, a language, a means of expression that we have always shared with the best French designers in a spirit of openness and curiosity. We combine our expertise with the skills and talents of our designers, with whom we share the same vision of what a kitchen should be. Our objective is to offer you sleek, designer kitchens with a focus on quality, comfort and lasting aesthetic appeal. 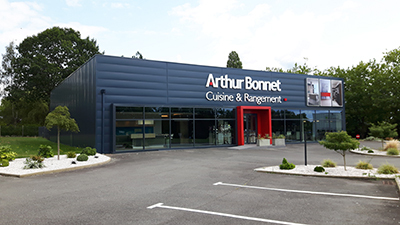 Arthur Bonnet offers an exclusive line : the Signatures line with exceptional kitchens designed for the brand by the greatest names in French design. This collaboration offers innovative kitchens that express the singular spirit of these designers and the convivial elegance that characterises the Arthur Bonnet brand. 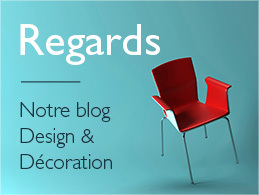 Interior decoration is part of our culture, to the same extent as design. To ensure your kitchen goes perfectly with your home interior, Arthur Bonnet has a broad range of models, colours, materials and finishes that you can see in the Arthur Workshop, a genuine creative space in the heart of our showrooms. In this privileged place and alongside your designer-decorator, your project will become a reality, from installation to integration in your home. For your kitchen to become one with your living space, we can also offer living room and storage furniture to match the kitchen models. Arthur Bonnet represents over 85 years of experience in fitted kitchens and tailor-made designs with, in particular, authentic expertise in wood and lacquer. Security in industrial strength, expert craftsmanship, respect for the environment: Arthur Bonnet’s primary and permanent concern is for the quality of its fitted kitchens. Our production factory is ISO 9001 certified. 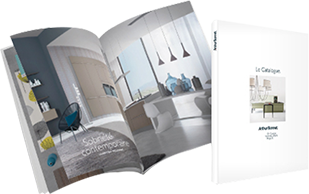 This everyday commitment serves as our guarantee: our kitchen furniture is guaranteed 20 years, our doors 10 years.